When we asked you to nominate your favorite blog for writers, we got over 2,100 comments and nominations! This year’s sixth annual competition was simply awesome. Great to see how passionate readers are about their favorite writing blog! We ended up with 20 finalists. Check out here how the finalists and winner were determined. It was great to see some new faces in the group of finalists. Yes, writing blogs are alive and well! We look forward to seeing how each of the finalists and winners develop their blog in the coming year. And please help spread the word! Please click the retweet button to share this post with friends and fans. The badge of distinction: If you are a winner, please post the image you see here on your blog. Please link the badge back to this page. 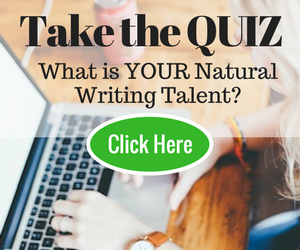 We’ll be inviting the winners and also many of the finalists to guest post on WTD so that all our readers can get to know and enjoy these top writing bloggers. Several of them are very good blogs….I was impressed. hi every one tis my blog plz tell ur feedback……as ur friend……. Way to go everyone. I’m going to start following these blogs. is the list rank based or does it only mean that these are the blogs that are better than other writing blogs? Great list! And thank you for posting the clear methodology on nominations, criteria and weighting. I recently posted a related Top 10 list, ranking book marketing sites (based only on traffic numbers — even though I realize that is only part of the story). As your 55% weighting helpfully underscores, good writing (and good writing sites) are good (at least in part) because of their subjective qualities. I was glad to be turned on to some that I was not familiar with. Cheers! Congratulations on your award. I know I enjoy your blog! Keep up the good work. Thanks so much for having Terribleminds on this list. A good present this season. Thanks so much! First of all congrats to all the winners and second, the blogs from the top are really amazing. I enjoy reading different blogs and even follow them. Congratulations to all of you for sharing with the rest of us. In such a contest, being rewarded is indeed a a great achievement, but for all those who were in the reckoning and consideration also there would be feeling of having a done good job. Such activities would go a long way in helping the quality as well as quantity of the work of neo-bloggers. What an exciting contest! Congratulations to the winners and thanks to Mary and Leo for running the contest. It will help me be a better writer in 2012! Six months ago, when I started the Write Practice, I found this list and subscrbed to each blog. The quality of those blogs continues to challenge me. I’m so honored to be numbered among the winners. Thank you Mary and Leo. This is going to be an exciting year. Wow. Thanks so much for such a great honor. The capacity of the writing community to give and give and give never ceases to amaze me. Congratulations to all the winners! I look forward to getting to know you and your blogs. What a joy to see some names and blogs here that I already love and new authors to follow! Congratulations to all. Take the time to enjoy this well-deserved recognition! Congratulations to all the finalists and winners. And thanks to Mary and Leo for highlighting quality blogs for writers. Romance University owes all our success to our generous visiting professors, who provide such wonderful lectures for our readers. Congratulations to all of the finalists and winners. I look forward to learning and enhancing my own writing journey through your support and direction! Wow! Okay, I have to admit. I wasn’t sure if I was going to make it in the Top 10 this year. The competition was tougher than it has ever been. Thank you to Leo and Mary for this great honor! Thank you to my readers! Congrats to all the winners, the finalists, and everyone who was nominated. This year it WAS an honor just to be nominated because the nominated blogs were all TOP NOTCH. Maybe I’m focusing on the wrong thing, but it seems odd to me that all of the top 10 blogs on the list are without any Google page rank. Did your criteria for evaluating the blogs not include a factor for importance on the Internet? Were all 2000+ nominated blogs without Google page rank? I know that PR is of diminishing importance, but I’m surprised that none of the finalists holds any significant weight with Google. In spite of that, several of the winning sites are well designed and seem to deliver excellent content. Thanks! Congrats to this year’s winners…it’s your time to shine. Have to say I was rooting for Oni to make the cut…maybe next year! Have to recommend Courate2Create and Ollin Morales…everyone should be sure to check out his blog. Congrats on your repeat win, Ollin! Thank you so much. What an honor, and a pleasure to get your endorsement. If you all don’t know yet, Carol is an amazing person! And of course you all know her blog, Make A Living Writing. Which continues to grow and is an amazing success. Thank you Carol for being such a great mentor to me and all of us writers. You are invaluable to the community. The winners are all deserving!! Congrats!! Wow, I can’t tell you how thrilled I am to have made the Top 10 two years in a row. Especially considering the competition (which seemed steeper than ever this year), I’m honored to be on the list. Thanks to all the readers who nominated Wordplay, and a special thanks to Mary and Leo for hosting the award. Congrats to all my fellow winners – and just as a big a congrats to everyone else. Your blogs *all* rock! Thanks, Mary, Leo, Barrie, and everyone else! What an honor. This was the perfect way to end my 2011. Mary & Leo, I can’t say what it means to be part of this great group of passionate bloggers. Thank you so much for including The Bookshelf Muse in your Top Ten! What an honor, to be named a winner with nine other great bloggers! Thank you for all of the hard work in running this contest. Thanks so much Mary & Leo – I’m thrilled to be on such a great list of bloggers! Happy Holidays and I’ll look forward to posting in 2012. Congratulations to all the winners. I am stoked I was a finalist! Thanks for a wonderful contest Mary. A job well done indeed.